LOUISVILLE, Ky. – March 25, 2015 –Daimler Trucks North America’s (DTNA) SuperTruck program has achieved 115 percent freight efficiency improvement – surpassing the Department of Energy (DOE) program’s goal of 50 percent improvement and exhibiting the best results of all reporting OEMs. The SuperTruck was unveiled today at the 2015 Mid-America Trucking Show (MATS) in the Freightliner Trucks booth (#30125). To validate the lofty targets set by the DOE, DTNA engineers conducted a series of tests. To measure freight efficiency, DTNA ran vehicle testing on highway routes in Oregon and Texas, one city route in Portland, Ore., and anti-idle testing in both a cold chamber and hot chamber. These tests resulted in a combined 115 percent freight efficiency improvement over a 2009 baseline truck. Testing was also conducted at the DTNA Detroit engineering facility to demonstrate engine efficiency by achieving 50.2 percent engine brake thermal efficiency. 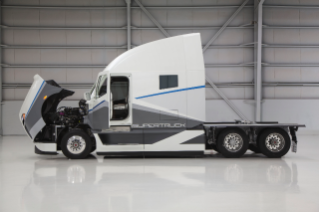 The final SuperTruck demonstrator ran a five-day, 312-mile round trip route on Texas Interstate 35 between San Antonio and Dallas, at a weight of 65,000 lbs GVWR at a speed of 65 mph, where it achieved an average result of 12.2 mpg. 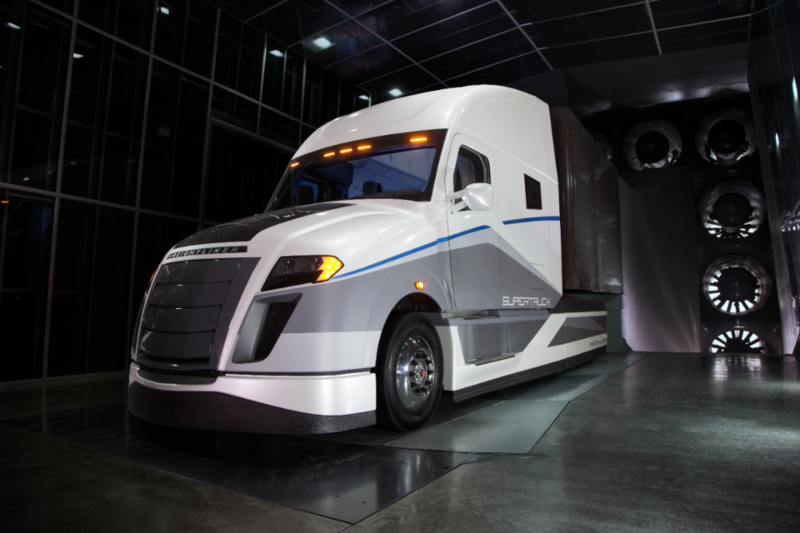 Several commercially viable technologies developed in conjunction with the SuperTruck program have been introduced in DTNA production vehicles, including 6x2 optimization and the aerodynamic components found on the Freightliner Cascadia® Evolution and the integrated Detroit™ Powertrain. 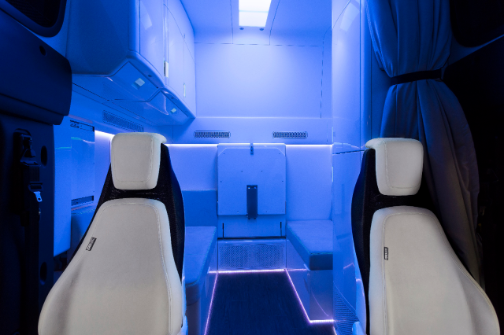 Strategies such as downspeeding with a custom engine rating and using the predictive capabilities of Intelligent Powertrain Management (IPM) components such as pre-loaded 3D digital maps to control shifting and eCoast events also increased efficiency and economy. One key initiative was exploring how the tractor and trailer should be designed and optimized as a single system, not separate units. DTNA engineers also examined the impact and opportunities for efficiency gains with tire partners. Features such as energy-efficient, wide-based, low-rolling resistance single tires and highly engineered aerodynamic surfaces on the trailer also maximized efficiency. During the development of the SuperTruck, DTNA engineers investigated how high-risk, high-reward technologies used in other industries could be applied to Class 8 vehicles. 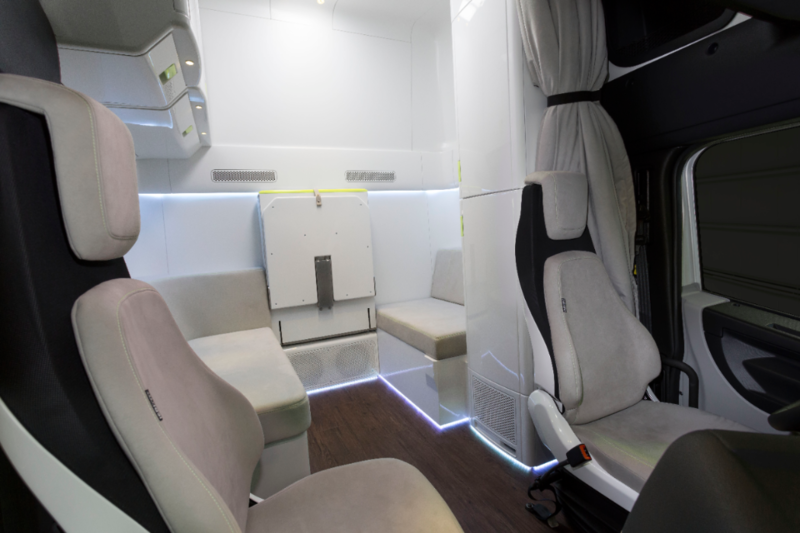 Electrified auxiliaries, controlled power steering and air systems, active aerodynamics, a long-haul hybrid system, waste heat recovery and trailer solar panels were some of the items assessed. “Part of our process included taking a deep dive into different systems to analyze not only what might be possible, but obstacles as well,” explained Rotz. 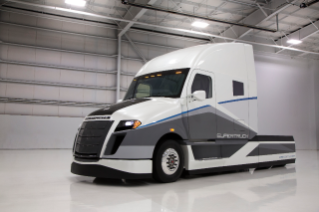 The SuperTruck team discovered that some of these components, due to regulatory or economic barriers, may not be commercially viable in the near future. 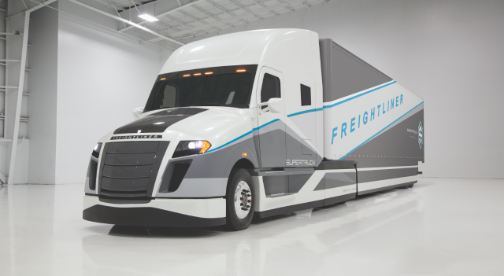 Sponsored by the U.S. Department of Energy (DOE), the SuperTruck program was a five-year research and development initiative to improve freight efficiency by at least 50 percent, brake thermal efficiency by 50 percent, and reduce fuel consumption and greenhouse gas emissions of Class 8 trucks. DTNA and three other major truck OEMs were awarded multi-million dollar grants by the DOE and each matched the DOE funding dollar for dollar. SuperTruck is supported by the U.S. DOE under the American Recovery and Reinvestment Act of 2009. DTNA began work on the SuperTruck program in 2010 together with Detroit and other partners, including national labs, universities and suppliers. For more information about the SuperTruck program, go to www.freightlinersupertruck.com.